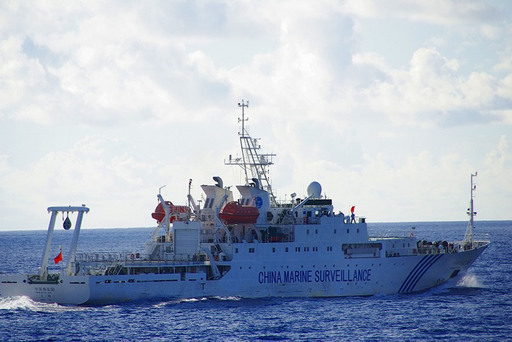 Taipei, Nov. 23 (CNA) The Mainland Affairs Council (MAC), Taiwan's top China policy planning body, said Saturday that China should shelve the territorial dispute over the Diaoyutai Islands in the East China Sea and should not try to resolve the issue by military means. The Diaoyutai Islands are an inherent part of the territory of the Republic of China (Taiwan), a fact that all parties concerned should face squarely, the MAC said in response to CNA's questions on China's demarcation of an air defense zone over the disputed islands earlier in the day. The islands, known as Senkaku in Japan and Diaoyu in China, are claimed by Taiwan, China and Japan. The MAC said China should avoid accelerating regional tensions through the use of military action and should set aside the dispute over the islands in line with an East China Sea Peace Initiative proposed by Taiwan's President Ma Ying-jeou. China announced Saturday that it has established an East China Sea Air Defense Identification Zone (ADIZ) that includes the Diaoyutai Islands. Any aircraft entering the ADIZ must abide by its rules or be prepared to face "emergency defensive measures," China's Defense Ministry said in a statement. A Chinese defense ministry spokesman Yang Yujun said, however, that the move does not include normal flights in the area. "Normal flights by international airliners in the East China Sea Air Defense Identification Zone will not be affected in any way," Yang told Chinese media. "It is not directed against any specific country or target," he said, adding that China "has always respected the freedom of over-flight in accordance with international law." Meanwhile, Taiwan's Civil Aeronautics Administration (CAA) said that China's move was aimed at regulating military flights. Taiwan's civil aircraft, which usually file flight plans and flights across the Taiwan Strait, continue as usual in the zone, the CAA said. However, Taiwan's MAC, along with its defense and foreign ministries, said they will keep a close eye on developments regarding China's move and will take measures to protect Taiwan's national security and sovereignty. Regular direct cross-strait flights have increased to 670 per week since the launch of weekend charter flights between Taiwan and China in July 2008.